As you get ready to file your taxes, it can be tempting to fly through your return. But you shouldn’t! Rushing through your return can lead to mistakes, which can slow down the process or render your return invalid. Here are the six popular errors the IRS commonly sees during tax season. The IRS says wrong or missing Social Security numbers is one of the most common mistakes it sees on tax returns. The mistake can be as simple as typing the number too fast into your tax software or misremembering what your children’s Social Security numbers were when listing them as dependents. When filling out tax information, make sure you have the correct numbers and double-check them against the actual cards. Inputting and submitting a wrong Social Security number is a major red flag for the IRS that the return may be filed as identity theft. 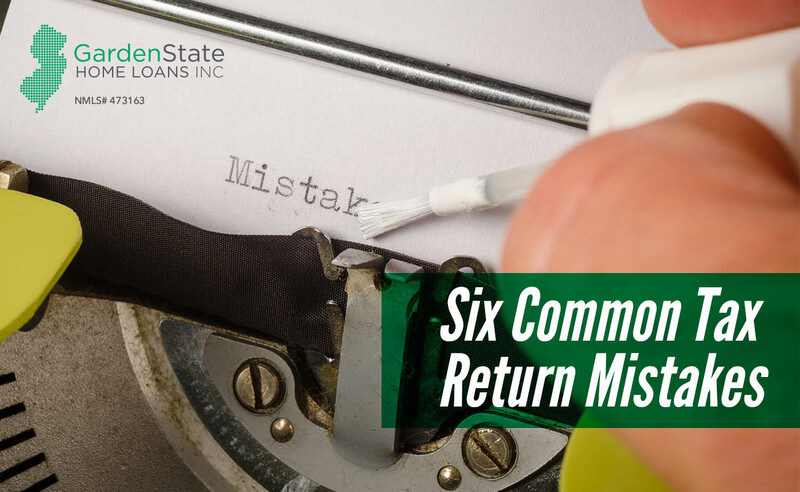 It may sound silly but misspelled names are a very common error on tax returns, whether it’s your own name, your spouse’s, or the name of a dependent. Many times, it is not on purpose. The names on your tax return should match the ones on your Social Security card, and sometimes, the Social Security Administration (SSA) could have gotten it wrong. Use the name that appears on your Social Security card. If you need to change your name, contact the SSA. There are five different filing statuses to choose from. They include single, married filing jointly, married filing separately, head of household, and qualifying widow(er) with a dependent child. Each status has a specific definition for tax purposes, so it’s important to choose the correct one. One of the first things checked by the IRS is your math. The first two pages of your tax return need to add up. If you choose to file a paper return, go slow and double check your math. If you chose to use tax software (or a professional! ), you don’t have to worry about doing the math on your own. This is another common mistake cited by the IRS each year. However, this mistake isn’t just a mistake. An unsigned form renders your return invalid. Returns are only considered valid when signed and submitted in a timely manner. Make sure if you are signing jointly that both spouses sign the return. There are a large number of tax credits and deductions that you may be eligible for. However, sometimes credits or deduction you may appear to be eligible for were actually phased out due to your income or another restriction. If you are unsure about a credit or deduction, read the instructions on the form carefully or consult a tax professional. This year, tax season opens up on January 28th. By April 15th, individuals must file their annual tax return. One way that a person can do their taxes is by hiring a tax return preparer. 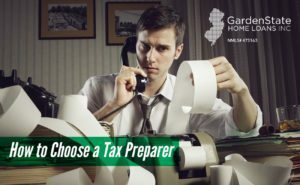 What is a tax return preparer? A tax return preparer is an individual who is qualified to calculate, file, and sign income tax returns on behalf of individuals and businesses. In addition, they can represent a taxpayer during IRS examinations of tax returns. All paid tax return preparers must have a Preparer Tax Identification Number (PTIN). Make sure that the preparer you are considering has one. In addition to making sure they have a PTIN, ask if they are affiliated with any professional organizations and if they attend continuing education classes. Be sure to check the preparer’s history with the Better Business Bureau. This will allow you to check for any disciplinary actions and licensure status. You should choose a preparer that is accessible to you. Make sure that you’ll be able to contact your preparer during the process, and even after your taxes are filed, in case you have any questions. Check service fees upfront. Avoid any preparers who base their fee on a percentage of your refund. You should also avoid any preparers who say that they can get you larger refunds than others can. Make sure that your refund is sent to you or deposited into an account with your name. No part of your refund should be directly deposited in the preparer’s account. If a paid preparer prepares and files more than 10 returns for clients, they must file the returns electronically. The only exception to this is if the client opts to file a paper return. Be sure that your preparer offers IRS e-file. A reputable preparer will ask to see any records and receipts. They also should ask you multiple questions to determine your total income and any qualifications for expenses, deductions, and other such items. If your preparer says they can electronically file your return before you receive your W-2 form by using your last pay stub, this is a red flag! Doing so is against IRS e-file rules. Avoid preparers who ask you to sign a blank return. Before you sign your return, make sure to review it and ask any questions you may have. Make sure that you understand everything and are comfortable with the accuracy of the return. Once you are ready to sign, make sure that the preparer also signs with the PTIN, as it is required by law. After the return is signed, make sure that the preparer gives you a copy. The House and the Senate have agreed on a compromise plan for the tax bill. This is how the compromise bill could change homeownership. The mortgage interest deduction is explained as a way to make homeownership more affordable. The compromise bill cuts the federal income tax that qualifying homeowners pay. This is done by reducing their taxable income by the amount of mortgage interest they pay. The deduction will be reduced to interest up to $750,000, instead of the $1 million for anyone who buys a home after December 15, 2017. Anyone who is under contract to buy a home before December 15, 2017, will also be subject this deduction if they are scheduled to close by January 1, 2018. 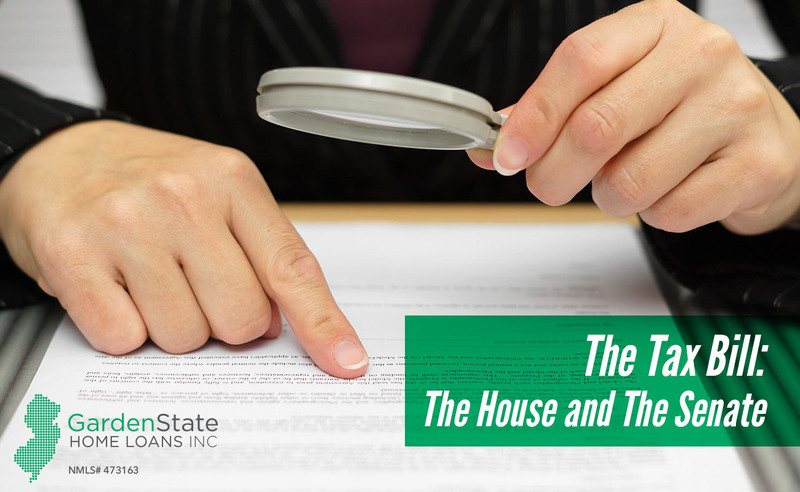 Another exception to this section of the bill relates to when you refinance a mortgage. The new compromise bill will treat the new loan as if it were originated on its original date. This means the old $1 million limit would apply. In addition to mortgage interest deduction, the current tax law adds a deduction for interest paid on home equity debt. This applies to anything other than to buy, build, or substantially improve your home, such as borrowing a home equity line of credit to pay for school tuition. However, the compromise bill eliminates the deduction for interest paid on any home equity debt. The current tax law allows qualifying taxpayers to reduce their taxable income by the total amount of property tax they pay. 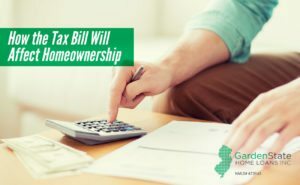 The compromise bill limits the deduction to $10,000 for the total costs of property taxes and state and local income taxes. The current law allows you to deduct interest on mortgage debt on a primary and secondary home. The compromise bill has voted to keep the part of the tax bill in place. However, it reduced the amount of eligible mortgage debt to $750,000. Capital gain is the difference between the price you paid for a house and the price you sold it for. It is treated as a taxable income. If you have owned the house long enough, you can exclude $500,000 as income so you don’t have to pay federal income tax on it. The compromise bill doesn’t alter the capital gain exclusion for homes. Under the current law, anyone may deduct some moving expenses if you are moving for a new job. However, the compromise bill only allows members of the armed forces on active duty would be allowed to deduct moving costs. On November 16, 2017, the U.S. House of Representatives passed a version of the act. On December 1, 2017, the U.S. Senate passed its version of the Tax Bill. Both the House plan and the Senate plan are based on the Trump administration’s plan presented in September 2017. There are differences between the plans passed. The following is a summary highlight of how both proposals plan to change the standard deduction, income tax brackets, state and local taxes, and homeownership. The House plans to raise standard deductions by double the present deduction. This would equal $24,000. The House plan eliminates personal exemptions. Personal exemptions are a deduction based on the number of taxpayers and dependents that get claimed on a return. The House plan proposes a new, single deduction. This deduction would be higher and therefore better for many filers, except for those who claim multiple children. This can negate any tax relief for families with three or more children. The Senate GOP plans also raises the standard deductions by nearly double. This would equate to $24,000 for married couples who file jointly and $12,000 for single filers. Additionally, the Senate plan does away with personal exemptions. These are now valued at $4,050 per person. Currently, as stated above, filers can take for themselves and any qualifying dependents, which is anyone who meets the IRS requirements for dependents. Additionally, starting in 2018, the Senate plan offers an increased child tax credit of $2,000 per child. This tax break phases all taxpayers whose adjusted gross income exceeds $500,000. The House plan eliminates most itemized tax deductions and continues to allow for a mortgage interest deduction of up to $500,000. The plan also eliminates deductions for interest payments on school loans, moving expenses, electric vehicles, or theft/loss of valuables. Additionally, the plan eliminates personal exemptions, meaning that families with many children would pay higher taxes despite the higher standard deduction. The Senate plans to lower the rates to 10%, 12%, 22.5%, 25%, 32.5%, 35%, and 38.5% respectively. The Senate additionally plans to eliminate most itemized tax deductions and allows for a mortgage interest deduction of up to $1 million. Exemptions to this include charitable contributions, mortgage interest, property taxes, and retirement savings. The plan also calls for the elimination of state and tax deductions and deductions for interest payments on school loans, moving expenses, electric vehicles, and theft/loss of valuables. The Senate plan allows for a state property tax deduction of up to $10,000. However, the Senate plan allows for corporations, not small businesses, to deduct state and local taxes. The biggest deduction eliminated in the House plan is one for state and local taxes. The House plan ends the deduction for state and local income and sales taxes and limits the property tax deduction to $10,000. State budgets, which help to fund education, transportation, healthcare, and other like causes, would be hit hard in this case. Additionally, the elimination of the income tax deduction would most likely lead to a shift away from high-income residents paying state and local taxes and a shift towards those with middle to lower incomes. The Senate’s proposal does away with deductions to state income and sales taxes, as is stated in the House’s plan. Those living on the coasts, where there are high state and local taxes, are in a worse position with the Senate plan. In terms of homeownership, the House plan proposes to slash the threshold on new mortgages to $500,000. Additionally, the House bill would eliminate the mortgage interest deduction for second homes. The Senate bill proposed a new cap on property tax deductions at $10,000. Originally, the legislators wanted to scrap this tax break altogether. Particularly in New Jersey, residents will see this change, as New Jersey has the highest mean effective property tax rate. The Senate bill won’t take away mortgage interest deductibility. However, homeowners would no longer be able to deduct interest on home equity loans. Whichever is passed, or a combination of the two if passed, should have a significant effect on an individual’s tax liability. Many people will pay less income tax and many will pay more depending on circumstances, income bracket and where they live. Everyone knows the feeling. Once midday hits and you’re done with lunch, the grogginess sets in. Even if you feel like the day may never be over, you need to push through. 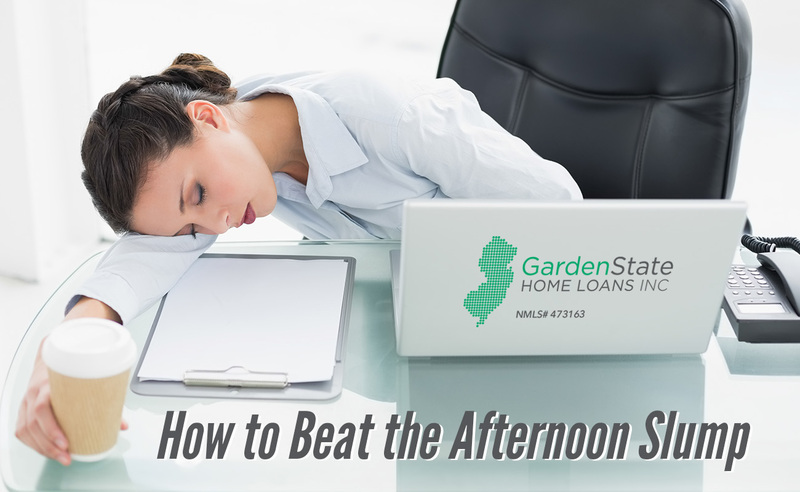 Here are some tips and tricks to get you through that afternoon slump. Take a break from your computer and head outside and sit in the sun. Not only does this help to reset your chronological clock, but it also reduces the amount of melatonin in your body. Melatonin is a hormone that regulates sleep in the body. Additionally, stepping outside gives your body a boost of vitamin D.
These are relatively mindless tasks that don’t require a lot of concentration. These will leave you feeling accomplished as you have finished a visible task as well as reducing clutter. Peppermint is known as an energy-enhancing scent. Put a drop or two of peppermint oil in your palm and rub your hands all over your face, being careful to avoid your eyes. Wake up your muscles (and yourself) be doing a quick stretching session. Roll your shoulders back and forth, timing each roll with a deep breath. Gums with strong minty flavors are stimulating. Additionally, the act of chewing stimulates your brain and keeps it from becoming lethargic. Chewing gum also stimulates salvia which clears out bacteria that can cause cavities and gum disease. It may be tempting to reach for a soda or energy drink to try and get a boost of energy, but that won’t work if you’re already parched. Research shows that slight dehydration can lead to sleepiness. Instead, swap that caffeine for some water. While this is not an excuse to overindulge, dark chocolate does have some unique characteristics. Unlike milk chocolate, dark chocolate is a healthy (or healthier) food, closer to nuts than it is to sweets. It has high levels of healthy fats and antioxidants. Additionally, it has fiber and magnesium (plus a little hint of caffeine). One square should do the trick to get you out of your funk. Carbohydrates make the body sleepy. Instead of loading up on bread, swap out the carbs for proteins that will give your body energy. However, that doesn’t mean you have to give up your favorite lunch! For example, having a tuna salad without the bread is a better choice than a tuna salad sandwich. 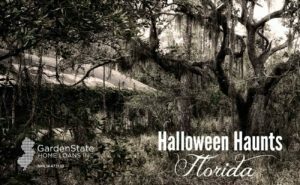 Looking for a good scare in Florida? Here are five hair rising horrors to get you in the Halloween spirit. A Petrified Forest boasts 85,000 square feet of horror. Located in the middle of the forest, this attraction is filled with creatures waiting to give you the scare of your life. This site is rated PG-13, meaning that you must be above 13 to go into the attraction alone. Children 12 and under need to be accompanied by an adult. Scream-A-Geddon has many different attractions for you to pick from. The Blackwood Prison is an interactive experience. Are you going to walk through and just watch as the prisoners take over the prison or are you going to truly interact? When you mark yourself, you throw yourself into an entirely new experience. You may be grabbed, held back, sent into hidden cells, removed from your group, or even forced to remain in the prison. 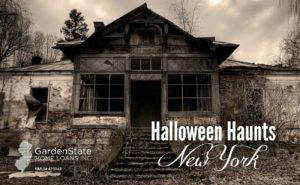 Other attractions include the Deadwoods, a Haunted Hayride, Infected: Ground Zero (another interactive experience), Bedlam 3D: 3D Clown House, and Monster Midway. Monster Midway is the perfect way to start or end your visit. Food, drinks, fire pits, and so much more make this the perfect place to calm your fear. Enigma Haunt features three different haunted attractions contained in 19,000 square feet. Walking through all three attractions takes just an hour, but can you handle the fear? Based on legends from the Everglades to the shores of Lake Okeechobee, all the tortured souls and demons have finally crossed over to our realm. Haunt Nights has three haunted houses, including Northeast Florida’s only 3D Haunted House. Apocalypse 3D: Clown Takeover plays on the clown-induced panic that is plaguing the nation. Try to escape The Ringmaster and many other characters, including murderous clowns and circus freaks! Pinehurst Asylum has nurses that are dying to meet you, after all, there are many vacancies that are perfect for you. Finally, The Backwoods is a property kept by the Hatfield family and they’re hiding something. Cannibals, mutants, and other creatures are wandering through the woods. Can you make your way back to civilization? The Shallow Grave is 13,000 feet of limit pushing. 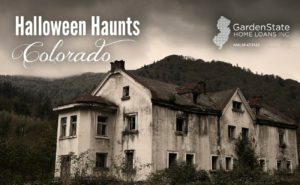 This attraction offers two haunted houses, Betrayal and Pavor Nocturnus. Betrayal has you navigating the halls of Thaddeus Van Burren’s run-down property during an uprising. A Van Burren relative is stalking the halls and he’s not looking for it to be the nicest of reunions. In Pavor Nocturnus, all your phobias come to life. Experience characters, scares, and themes that will leave your heart racing. 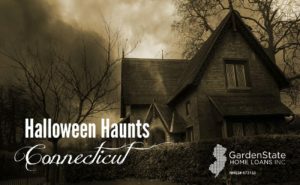 Though Connecticut may be small, there is no shortage of good scares. Here are five haunted hotspots for a Halloween adventure. 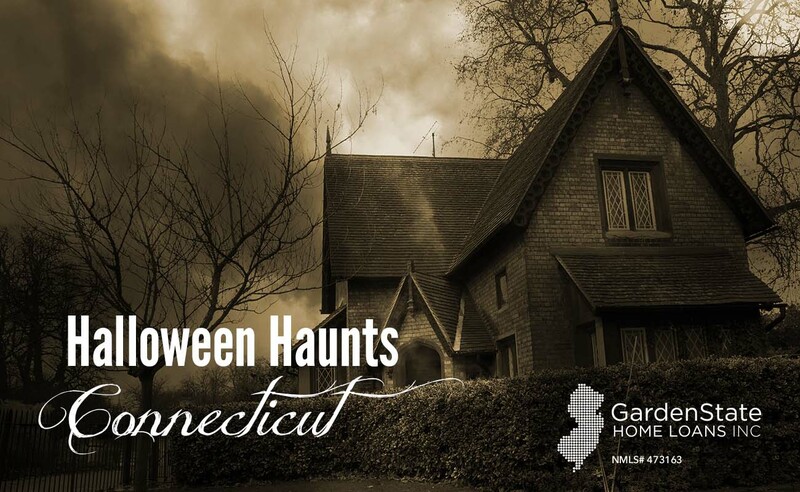 Connecticut’s largest indoor haunted attraction is Fright Haven. It covers almost 20,000 square feet! This haunt is the perfect old-school experience. Walk through the Victorian haunted house “Dark Manor” and encounter ghosts, vampires, and zombies. Watch out! In the pitch-black haunt, you may just find snakes, insects, rats, clowns, floating masks, and much more! Choose between two attractions to spend 90 minutes in fear. The Melon Head Revenge Trail stretches over half a mile through haunted woods. The trail features deformed and demented monsters ready to play out terrifying scenes. This attraction does not permit children under 12. The Signature Haunted Hayride is 1.5 miles of fun. 75 creatures await you on this spine-chilling adventure. The Haunted Graveyard is a 45-minute walk, that takes you through 14 different themed houses. Don’t expect the same haunt as every year is different! 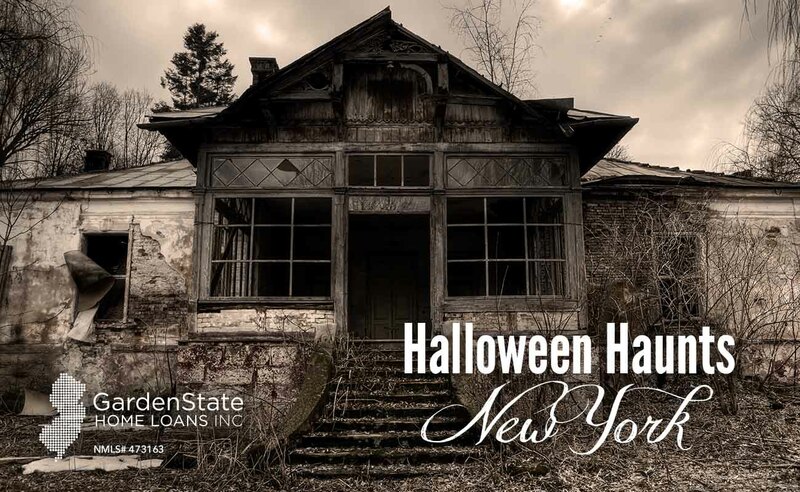 200 ghouls, including banshees, vampires, demons, and lost souls, are waiting for you. Situated on four acres of land, Trail of Terror is sure to please anyone who loves a good scare. Trail of Terror has a new theme each year. Each theme has a backstory and recurring characters which weave into different scenes on the trail. Once you enter the Trail, there’s no turning back. Guests must venture through crawl spaces, squeeze walls, across a rope bridge, onto a boar, and through a vortex tunnel. The Dark Maze of Creeperum has many scares waiting around each bend. You are faced with the dilemma once entering the maze: how to get out. Each twist and turn brings new difficulties. Faint glimpses of light may lead you to believe you’re almost out, however you’re really being led to a dead end. You may be separated from your group if you’re not careful. There is no turning around, only moving forward! Are you a seeker of scary? 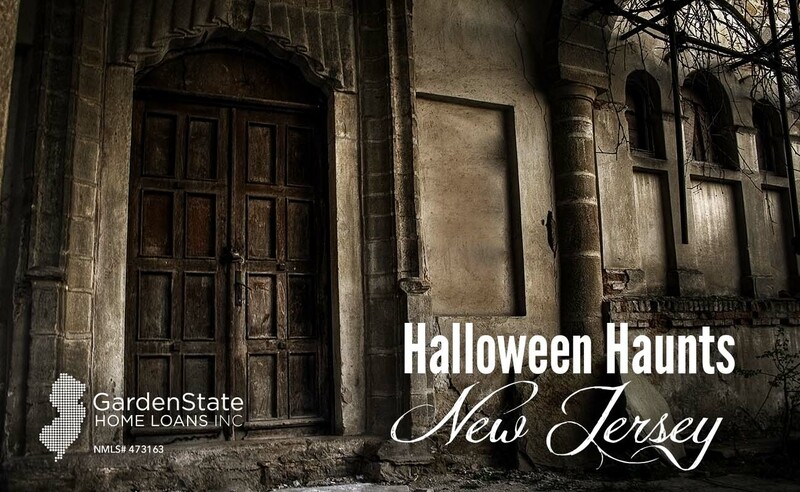 You are guaranteed to get the scare of your life at these five locations in New Jersey. Brighton Asylum is a nationally ranked haunted house, called the “scariest place on Earth” by the Today show and was named the #1 haunt in America for millennials by the Huffington Post. The attraction has also received accreditation from Fox News, Z100, and many others. One of the most detailed, interactive, and unique haunted houses, Brighton Asylum is sure to scare. With plenty of options to choose from, you’ll never know what direction your night will go in. Will you experience the Tunnel and the Asylum? Will you choose to participate in one of the four themed Escape Rooms? Or will you take on the all-new Zombie Attack attraction where you get to take on zombies with replica M4 rifles? Regarded as one of the most original and innovative haunts, the Haunted Scarehouse boasts two floors of fear. 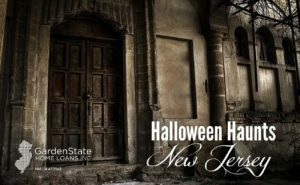 Navigate your way through two haunted houses, with jaw-dropping props, disorienting noises, and actors that up the ante. Special effects, animated walls, and realistic set pieces will make the hair on your neck stand straight up. The Field of Terror is the largest haunted attraction farm in all of New Jersey! There are over 120 acres of farmland that holds a Haunted Hayride, Field of Terror corn maze, and two haunted walkthrough attractions! Not a fan of being scared? Don’t worry! In addition to the haunted attractions, The Field of Terror also has a family friendly flashlight maze. Bloodshed Farms Fearfest has many different attractions for the 2017 season. Choose between Hellsgate Asylum (modeled after the 1950s), the Trail of Terror (a corn trail walkthrough), a walkthrough crypt, and the new Clown-o-phobia! If those aren’t chilling enough, enjoy the classic haunted hayride! Enjoy the nightly party with a DJ, food, games, and roaming scare actors. Choose between two different themed haunts at Scary Rotten Farms. Sinister Sneed’s Chaotic Carnival of Chaos follows Jacob Sneed, who crazily made a deal with the devil. Now, he has to deal with the consequences. He has to spend eternity gathering souls for the Devil, and he’s starting here! You are put into a community that has been infected with a plague. Watch out for the infected, called the Empty. These victims of the plague experience high fevers, vomiting of blood, swelling of body parts, and become dangerously delusional and violent. Here’s your guide to Halloween haunts in New York. Established in 1827, Rolling Hills Asylum became home to many societal castoffs. The Asylum itself holds over 1,700 documented deaths and hundreds that were left undocumented. In fact, the Asylum has been named the #1 most haunted asylum in the entire United States. So, what makes this Halloween haunt so special? There are no attractions! That’s right, here you are left to experience the paranormal hotspot exactly as is. Rolling Hills is known for Shadow People, class “A” EVPs, disembodied voices, and so much more. What you experience here is the real deal. Chamber of Horrors has many attractions for you to visit including The Maniac Manor, 3,2,1, Blackout, The Slaughter House, a virtual reality haunt tour, and the Chamber’s 3-minute Escape Room. In the Maniac Manor, ghouls are running wild while the lady of the house is out. 3,2,1, Blackout twists sights, sounds, and your emotions. Finally, The Slaughter House is a mash-up of the dead and dying, who are all ready for you to put them out of their misery. During the Halloween season, Phillipsburg Manor transforms into a landscape for the undead. Visitors to Horseman’s Hollow begin by walking through a haunted train and then happen on a town being ravaged by the Headless Horseman. After the trail, visitors move onto Ichabod’s Schoolhouse, where they endure even more horrors. Castle of Horrors has 50,000 square feet of first-class haunted house experiences. Themed rooms, corridors, and passageways help to create the perfect scare.